Warm, full-bodied, folky Country Pop with a soulful voice, award winning guitar playing, and great tunes; somewhere between James Taylor and Gordon Lightfoot. This is a great album. Fine fingerpicking, great lyrics. Great for roadtrips. Pop it in, drive and harmonize! Great, mostly mellow album. Acoustic musicians: go buy this album! I heard Alan Thornhill's version of "Lover's Question" on the radio. Great re-make, with fine fiddle, and nice guitar pickin'--a generally acoustic sound, with nice vocal work. I bought the album based on this one song alone. If this were the only song on the album it would have been worth the cost. However...the rest of the album is also outstanding. The album is mostly mellow original music, with tasteful vocal harmonies and nice, nice instrumental work. If you are an acoustic musician, immediately go buy this album! This was recommended to me by Jeffrey Pine (another GREAT CD everyone should look into). Alan Thornhill's clear voice, superb guitar abilities, and great lyrics combine to make this a great listening experience. I'm always amazed at the number of incredibly good artists out there who often go unheard that SHOULD be heard. 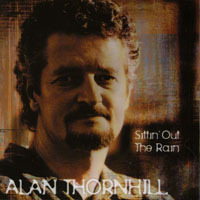 Alan Thornhill is likely NOT one of the ones that goes unheard or ignored....I HOPE. His music is well worth listening to. Some of it is a little more country than I listen to normally but I'll tell you, that the more I listen to these artists, the more I'm liking the great lyricism they've offered. Alan is one of those artists whose influences are apparently wide and varied in that he has elements of country, folk, western, blues and so on. THIS CD is certainly a great offering and if recommendations are ever heeded, then this is one any acoustic fan should have and it's a great listen that everyone should give time to. My wife and I love to listen while we travel to the grocery store. This guy made a great disc, period.